I grew up in a farming community (350 people) in southwestern Washington State, enjoying all the advantages of being young in the country. After finishing college in 1972 I joined the Peace Corps, eventually working with the African Mathematics Programme--and becoming interested in mathematics education. In graduate school I specialized in research on mathematical cognition and uses of technology in learning/teaching mathematics, and have continued these interests since. 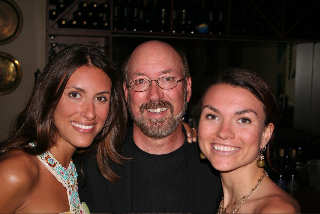 Now I live in Nashville, TN with my two beautiful daughters (well, with one most of the time when she is not at soccer tournaments and the other when she is home from college). When not hunting I like to drive fast cars. I've conducted research in a number of areas, but all within the overall framework of quantitative reasoning and representations of it. Teaching and learning statistical and probabilistic reasoning (overview, project website; 1997-2002; funded by NSF).